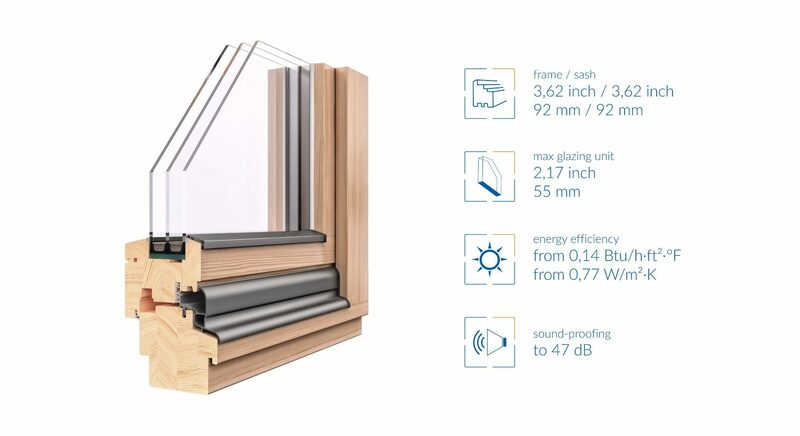 The windows, with the thickness of the sash and frame at 92 mm in connection with the warm glass packages and modern fittings, create a product with one of the best thermal parameters available on the market while providing high acoustic insulation. The applied four-layer sizing makes these windows extremely tight, and the thick frame provides high durability and stability. Applied ecological paint coatings ensure long-term durability of the profile.